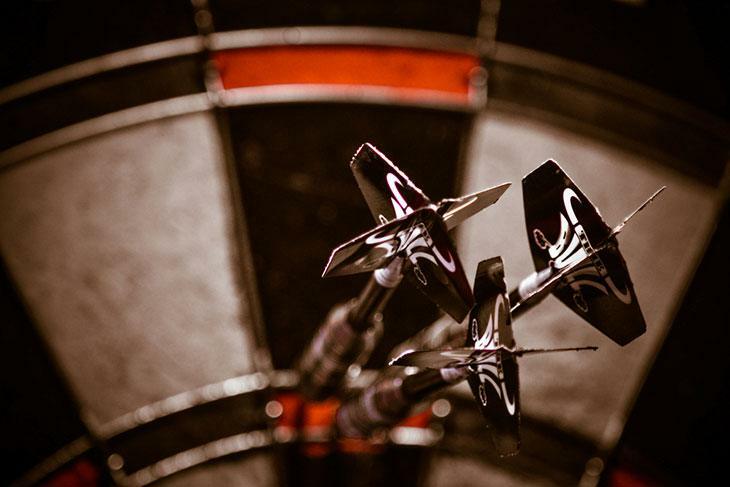 Top 5 Best Dart Flights of 2019: Do NOT Buy Before Reading This! 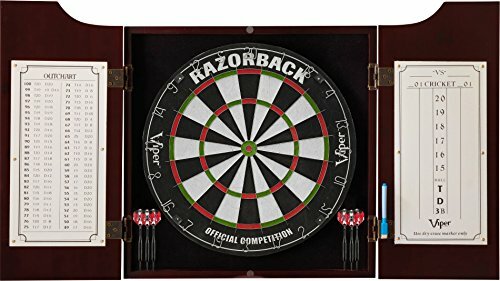 You know how people always say that darts are easy to learn and hard to master? They’re right, you know. Every Joe can learn to throw. The true pros use all the advantage they can get to raise their game to another level. 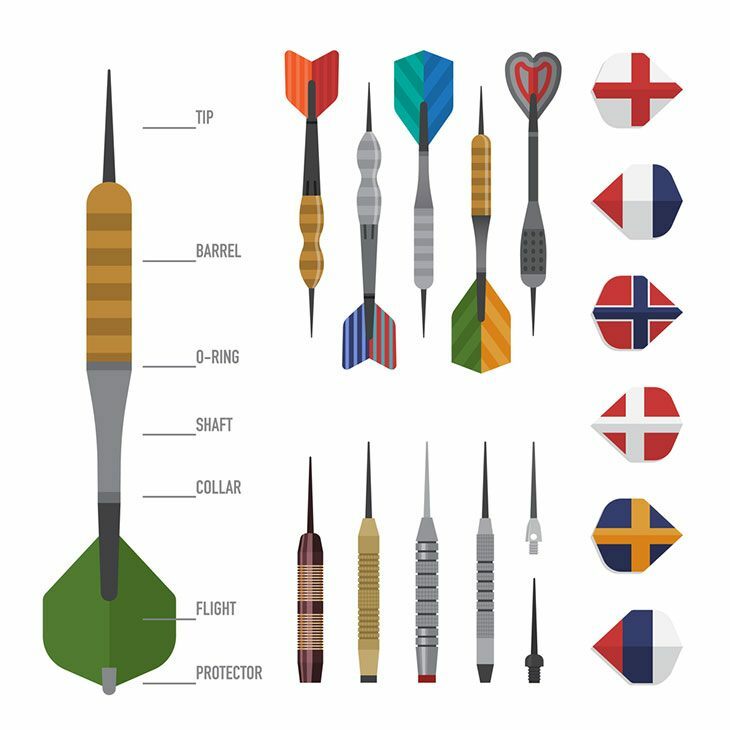 Becoming a champ means knowing the anatomy of your dart like the back of your pocket. 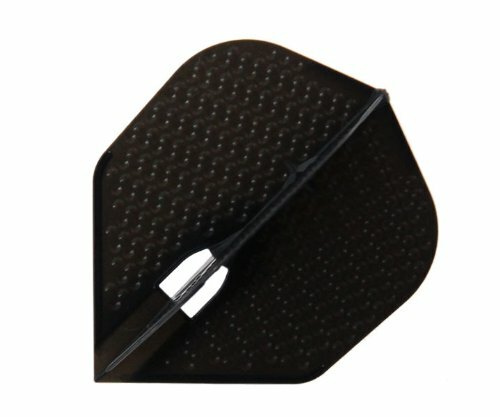 Because of that, if you want to become the top player in the room, you have to use the best dart flights on the market. Today we’re finding the best one together, so you get that advantage on your next session. Why Are Flights So Important? Before we dwell into details, here’s a short comparison table that should give you the most important info about the top three models we’ll discuss later in more depth. Great design and excellent performance regardless of the playing style. The main purpose of flights is to stabilize the dart on its horizontal axis while it’s flying. If it didn’t exist, the dart would quickly lean forward and start whirling. Because of that, flights have to have a perfect symmetry and good spread. If they would become flat, the symmetry would be disrupted and the dart would lose its course. How something as small as a piece of plastic can affect the air resistance of the dart? 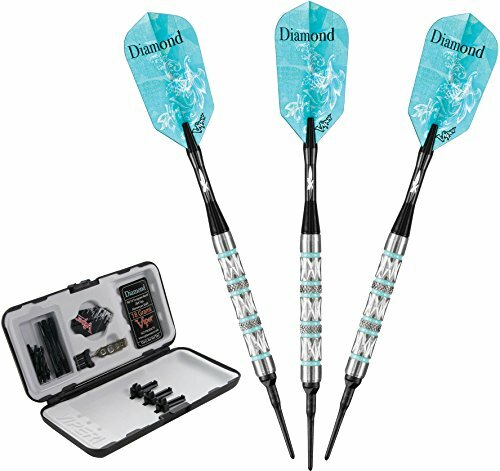 Well, aside from providing the balance, the flights also have a huge impact on how your dart breezes through the air so they can make or break your distinct playing style. Generally speaking, smaller and smoother flights will help the dart cut through the air more effortlessly. However, this option is also less forgiving and not that suitable for angle attacks. Bigger and more textured flights will make the dart fly slower, but the additional "drag" will make variations with angles much easier. Although the flight makes a proportionally small part of the dart’s overall weight, the variations are there, and they make all the difference in the world for experienced players. 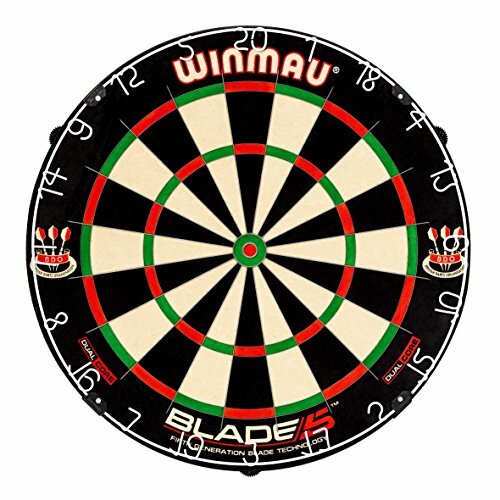 Larger and heavier flights are better suited for longer shafts, steel tip darts and softer lobes (flying slower and gaining momentum while descending to the board). Accordingly, smaller and lighter flights are meant for shorter shafts, soft tips, and harder, straight shots. Now that we’ve covered the basics, let’s take a look at the top five flight packages on the market and see which one of them packs the most value. Harrow’s is a company with a pretty respectful history and Retina series does a great job maintaining its high reputation amongst the players. First, the body of the flights is built out of two parts. 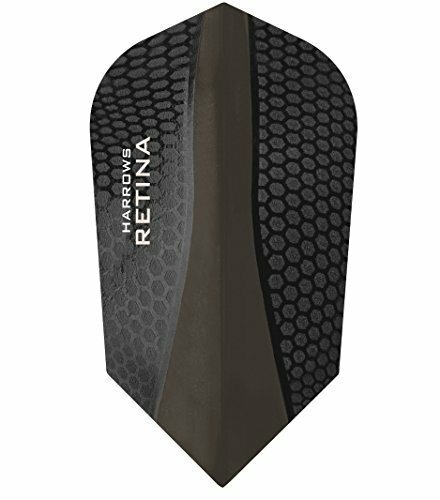 The outer 100 micron thick part is designed for strength and durability and features slight honeycomb texture which gives darts additional drag. Some may find this enjoyable, others not. I certainly felt more in control during the slower shots with professional tungsten shafts. The flight’s central display is softer and compensates for rigid fins by inducing much needed flexibility in the backside. The blend of the two is reasonably heavy but it never goes overboard. Bud, do you know what I liked the most? 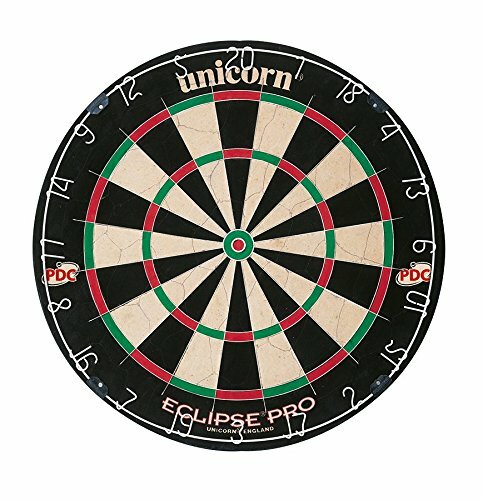 Even though they are very reasonably priced, the flights you’ll find in the package are sleek and wouldn’t look out of place on any professional tournament. A perfect marriage of design and performance. A very good looking piece of equipment. Not everyone will appreciate the added drag. Modular design comes at the expense of durability. Although they’re definitely not going to impress anyone with their design, the flights you’ll find in the package are pretty solid and well built. The molded plastic design has its share of pros and cons. No matter how much you abuse them the flights will maintain the perfect 90 degree angle between the fins. Now, this increased durability always goes hand in hand with increased weight but the flights’ overall mass is nicely counterbalanced by the smooth surface which allows them to fly through the air more smoothly. However, the main selling point of this package is the innovative flight and shaft system which allows for effortless "push-in" installation. Yes, I didn’t had to use any other parts to assemble the dart. The complete darts held on pretty well and didn’t show any sign of wriggle while flying. The package offers six sets of flights at the price point where you can usually find five. The flights are sturdy and well-built. Smooth surface somewhat compensates for the weight of the flights. No matter how you put it, the flights are still pretty heavy. The “push-in” systems works well, but not on all shaft models. Much like the first mention on this list, L-style L3d flights are pre-molded, very sturdy and hard to break or deform. They are much more business oriented and less willing to make unnecessary experiments. This time, there are no fancy locking mechanisms. 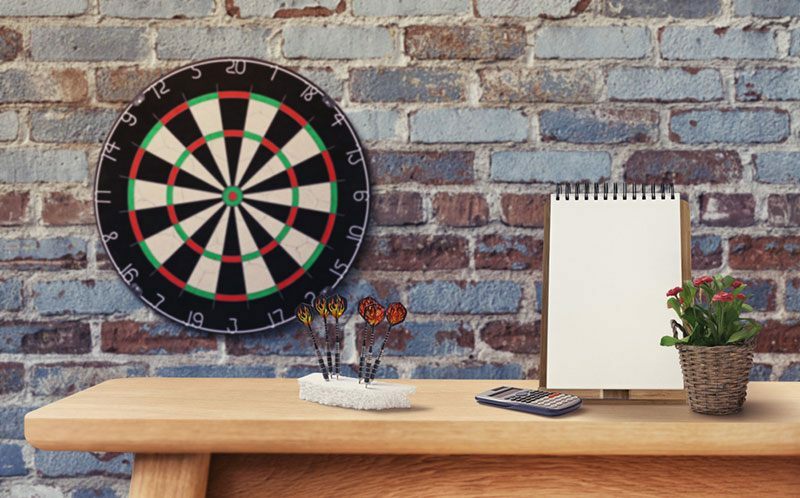 The darts are assembled in a standard manner, and as a result, they tend to fall apart from time to time. No big deal, that’s something that happens fairly often at the tournaments. The area where these flights do try to make a difference is their reinforced bottom edges and dotted texture which provides great resistance. This, in combination with a pretty solid build, makes a flight that will keep even the longest and heaviest shafts on the market flying straight. The downside – all these qualities come at the expense of speed. Also, using the L3d’s on lighter shafts won’t result in a pretty marriage. The shallow center does a solid job reducing the flight’s weight. 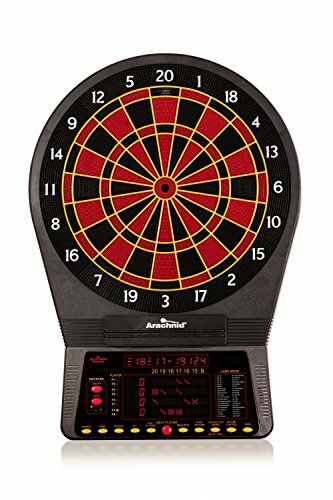 Works like a magic with heavier darts. Not intended for versatile players. Some players like to call these flights as generic is it gets, and, honestly, they are right. For me, tough, as long as something is doing its job well, it can be generic as much as it likes. And, for what they worth, RUTHLESS flights over-perform. Let’s start with the design – just a plain simple plastic unibody. But, unlike other similar entries, these flights are considerably lighter, and devoid of any texture which makes them a perfect fit for players preferring speed-shots. Even better, the build quality is pretty solid, and though they are not as sturdy as some other options, the flights won’t break or deform that easily. As for the downsides – I never really felt the flights affected the dart balance for better or for worse. They were there to keep the dart straight, which, I guess, is ok at that price point. 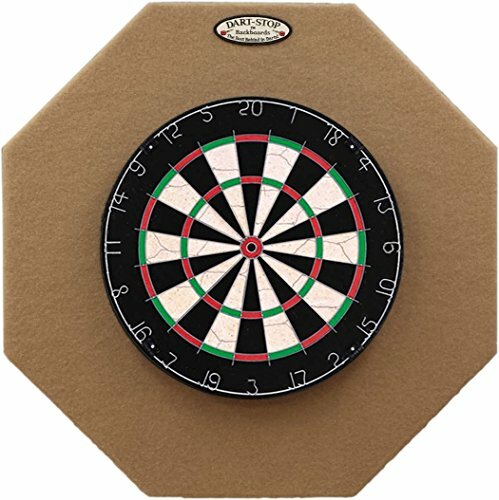 Affordable purchase for novice and intermediate players. Light weight allows faster shots. The flights won’t improve your technique. The design could be more inspired. Finally, here’s the product that sounds great on the paper, but doesn’t quite manage to live up to the expectation. The product that calls itself "Rhino Long Life Standard Extra Thick" should really lead the pack when it comes to thickness and durability, right? Well, not exactly. The flights I’ve got in the package varied in the quality, and while some proved to be rather sturdy other bended much easier than I would like to. 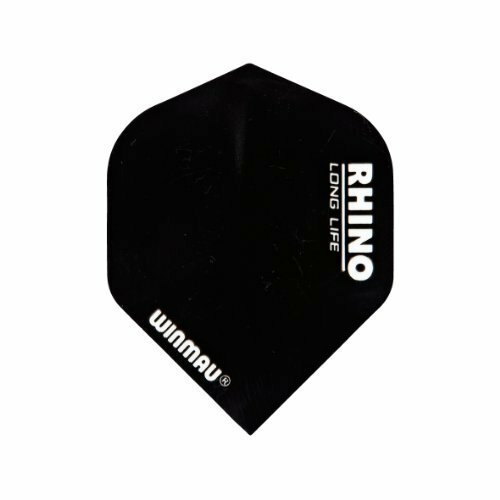 Putting the false marketing aside Winmau Rhino flights are still a solid and very reasonably priced product. The fins are large enough to keep the bigger shafts stable and the lack of texture allows for faster shots which is a pretty nice middle ground. Also, the flights come in a number of interesting prints, so if you like customization, this might just be your kind of product. Nice balance between speed and sturdiness. The build quality doesn’t live up to the expectations the name sets. You can find better alternatives at this price point. Which one of them should I buy? Here are a couple of considerations that should help you find the flight that suits your style the best. The added drag you get with the larger flight can counterbalance the weight of the longer shafts and prevent the darts from nose-diving when you throw them. So, you may feel that huge flight on top of the even bigger shaft would turn your dart into flying stone, but you’re wrong. As long as shaft and flight are in balance, the dart will fly like a bullet. As I’ve already mentioned, the weight of the flight has an impact on the overall weight of the dart, and allows for fine-tuning. Heavier flights also feature an improved durability, and their spread doesn’t become as compromised as the time goes by. 75 micron – Great for starters and social use. 100 micron – The most widely used variety on the market. 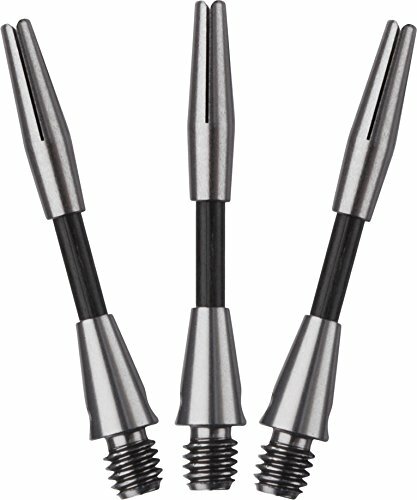 150 micron – Featuring improved strength and durability, 150 micron flights are mostly used for lobe attacks. 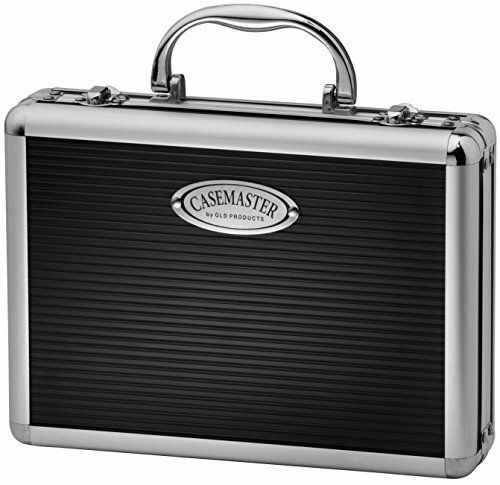 Plastic molded – The heaviest, but the most durable variety. Although the offer of the flight shapes you can find of the market is incredibly varied, as the time goes by, you will probably settle with some of these five most common types. Standard – Great choice for players who don’t like too much experimentation. Kite – Excellent option for anyone in need of improved control. Teardrop – The teardrop shape provides maximum lift from a smaller area. Lantern – This aerodynamic shape is designed to improve the stability of the dart while keeping the tail down. The no. 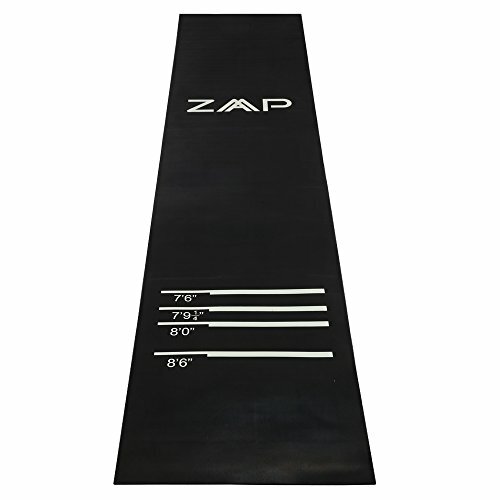 6 shape – A very forgiving option for all players (professional and novice) who seek maximum lift and stability. Flights can be found in all sorts of price ranges and bundles, some of which feature dozens of pieces in the package. These "wholesale" options are usually of lower quality and made for social occasions. On the other side of the spectrum are professional packages where you’re asked to spend up to 30$ per set. Casual and semi-pro players should be able to find good-looking and even better performing five-set (15 flights) packages for no more than $10-$15. 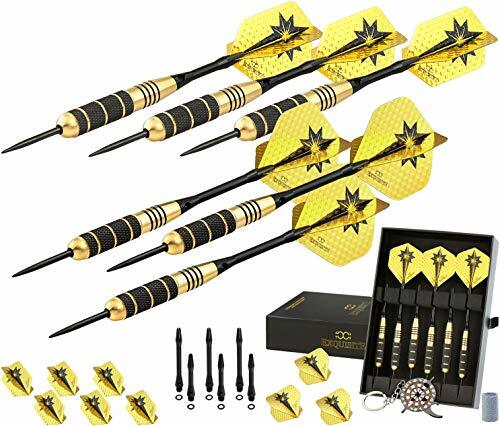 Although all of the products I mentioned offer a very good performance, you should settle with nothing less than the best dart flight available. THICK AND DURABLE FLIGHT! 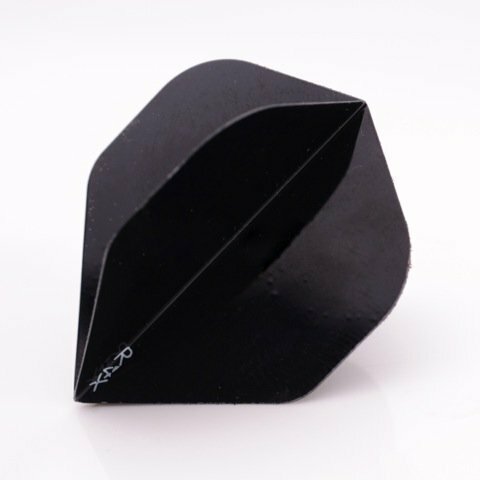 With 100 micron thick flight, your flights will last longer, bend less, yet add minimal weight. TRUSTED NAME IN DARTING. 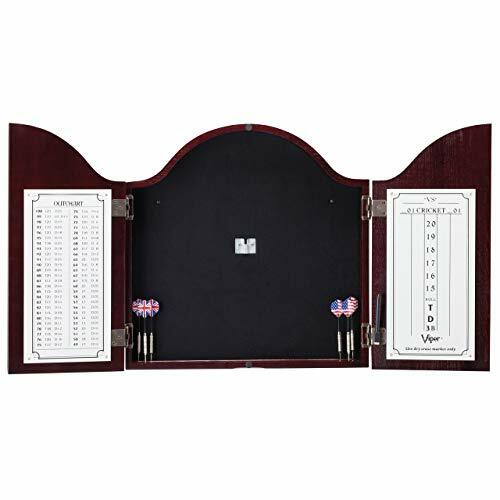 Harrow's has been one of the top names in darting since 1973. Started as a small dart shop in Enfield, North London and help grow the world of darting to about 30 million players. DESIGN WITH A PURPOSE. The unique design has two features. 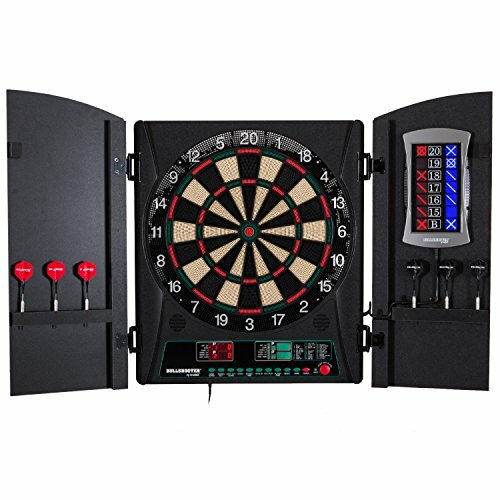 The outer display is laminated for strength and toughness while the central translucent display helps achieve a more accurate and consistent throw. Would you agree with my choice or do you have a personal favorite, too? Let me know in the comments below!